MLL has a multi-photon microscope, which is approved as only one of 3 systems in Germany for clinical studies in dermatology. 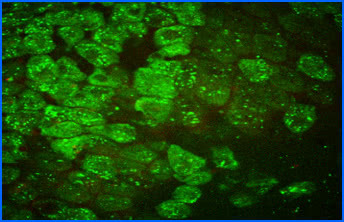 In this way the autofluorescence of tissue chromophores can be stimulated with high resolution in vitro and in vivo as well as the analysis of the intrinsic frequency conversions of tissue. 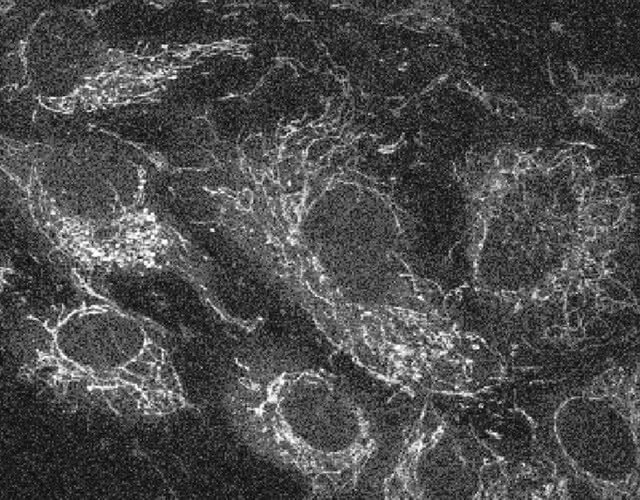 Autofluorescence (AF) of cultured Human Retinal Microvascular Endothelial Cells (HRMEC) with two-photon microscopy. NADH-AF in mitochondria is clearly visible with λex=730 nm. 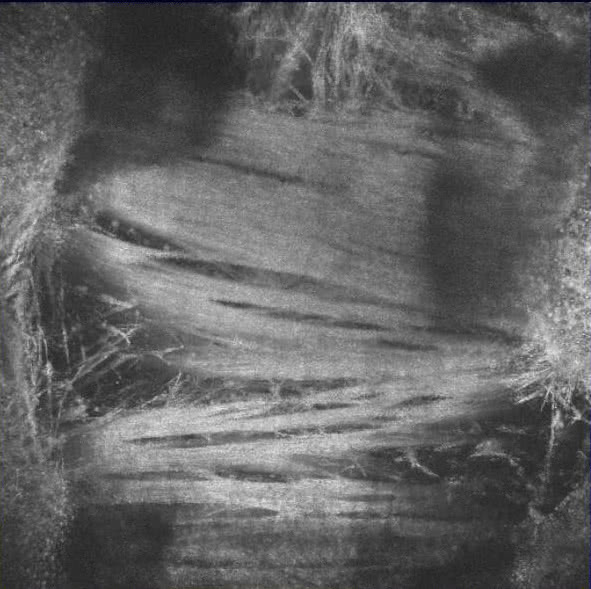 Their fluorescence lifetime can be measured and mapped with FLIM . 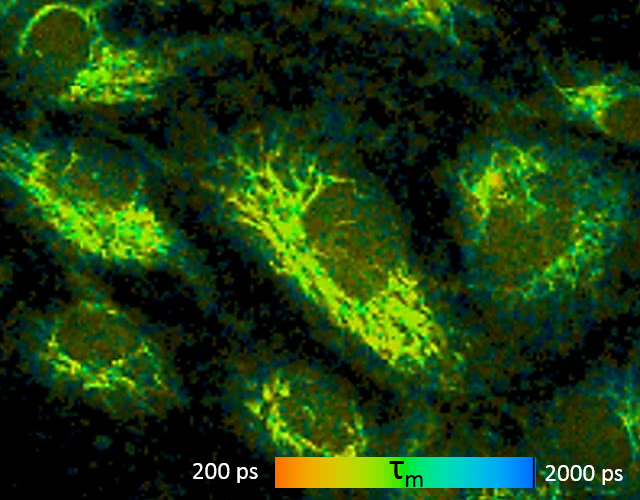 All natural fluorophores in tissues and cells, as well as exogenous fluorophores, exhibit different fluorescence decay times, when excited by short-pulse light, typically with picosecond laser pulses. However, this fluorescence lifetime also depends on the microenvironment of the molecule, thus it can be utilized, for example for determining cellular energy metabolism, measuring intracellular ion concentration, pH or temperature measurement. 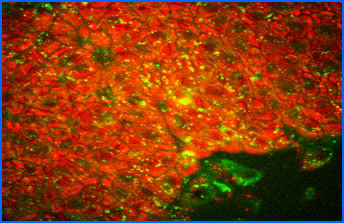 Currently, we are working very hard on the autofluorescence of ocular tissue, especially retinal cells using two-photon microscopy, but may also examine other tissues at any time. 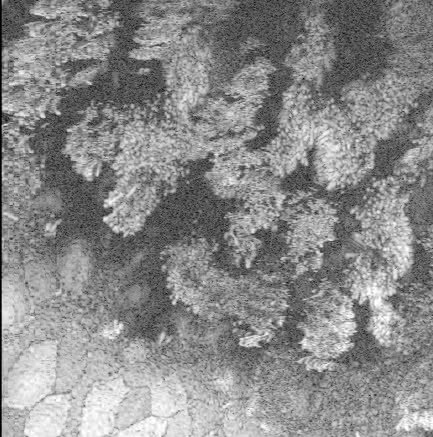 In contrast to conventional optical coherence tomography, microscopic OCT (mOCT) offers a resolution 10 times higher, both axially and laterally. This makes it possible to image cellular morphology in vivo. 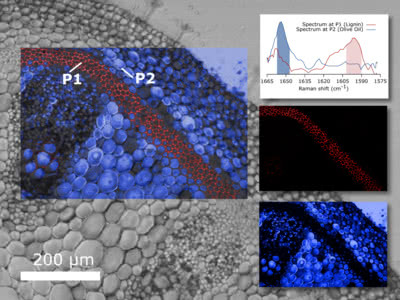 High imaging rates of several hundred B-scans per second also make it possible to quantify highly dynamic processes at the cellular level, such as the ciliary beat. Nonlinear optical microscopy is a powerful technique in biomolecular science that helps to better understand biochemical processes at the cellular level. The main goal is to identify not only the morphology but also the chemical composition of a sample.